For non-natives, the San Gabriel Valley's culinary scene can be difficult—and intimidating—to navigate. 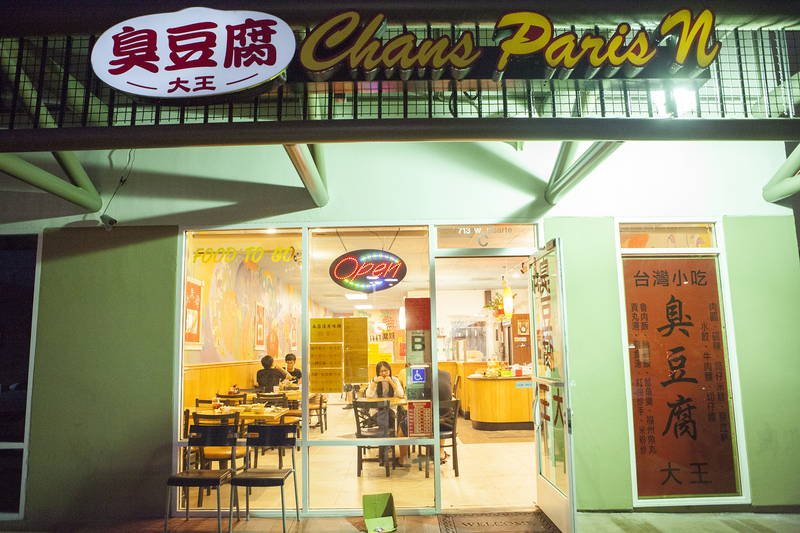 If you’ve been scouring the web for dining options in this far eastern corridor of Los Angeles, look no further. We’ve rounded up an extensive list of restaurants offering choices from dim sum and pho to Taiwanese and Korean specialties. The added bonus: these cheap eats will have you fed through breakfast, lunch and dinner without breaking the bank. 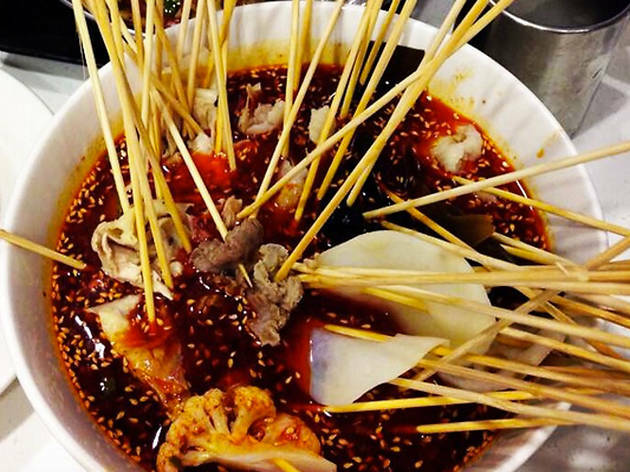 After running a successful restaurant in China and working at the Panda Restaurant Group in Los Angeles, Tony Xu opened Chengdu Taste in 2013. The San Gabriel Valley—and the rest of LA—quickly took notice, and the lines haven't let up since (a second location opened up in Rosemead). 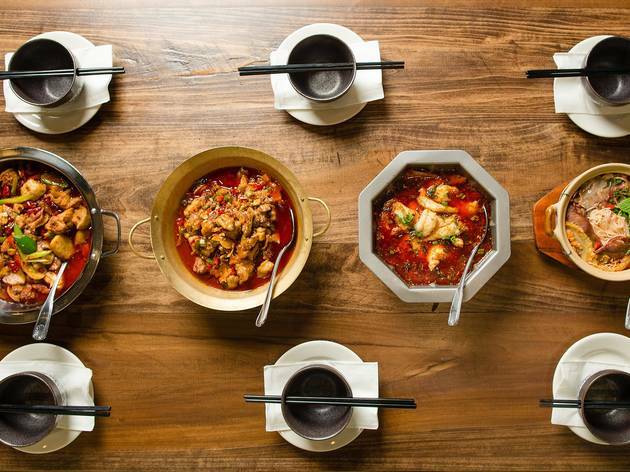 Fiery Szechuan dishes fill tables with intoxicating smells and an overarching red hue that indicates an intimidating level of spice. Start slowly, perhaps with cold mung bean noodles slathered in chili paste, then move to more grandiose items: boiled fish in green pepper sauce, stir fried pig's intestines, lamb on toothpicks with cumin. A green peppercorn here and there will have your mouth feeling numb at times, but the flavors at Chengdu Taste are all intense, wonderful and worth the wait. 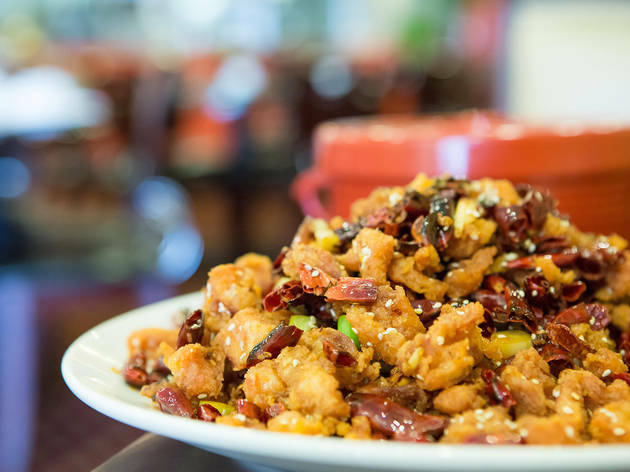 If you can handle the heat, Szechuan Impression has a lot to offer both Szechuan newbies and veterans. Chef Tony Lai ran luxury hotel kitchens in Chengdu before being brought on bere, but the food is more playful than upscale. 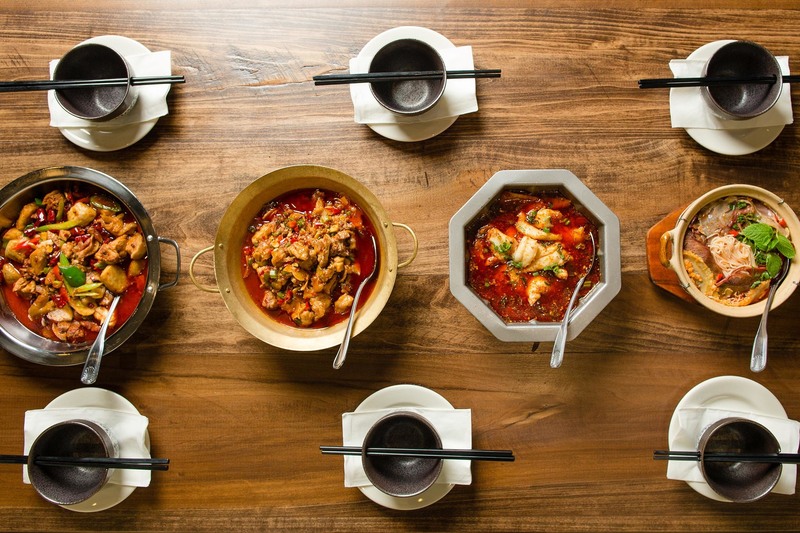 Dishes are customizable in that you are asked how spicy you want it, and they range from a recognizable chicken in chili oil to ginger frog and goose intestine. Try the fish fillets in chili sauce, with its clean meat and expert preparation; pair a bite of buttery fillet with some rice and you'll be thoroughly satisfied. 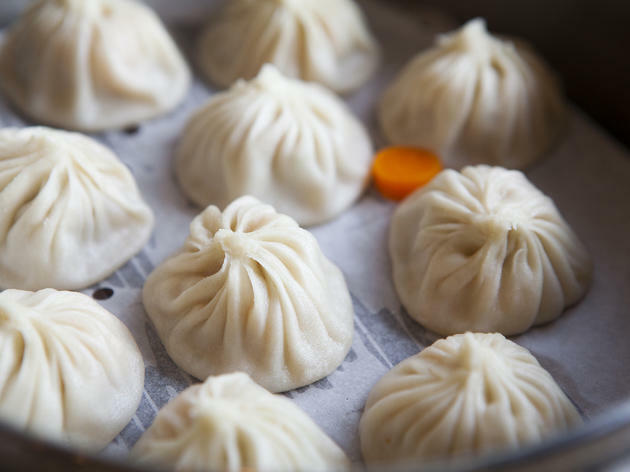 Din Tai Fung made its name in Taipei, and while there are now a few locations in America, we're lucky enough to have not one, but two in LA. The Arcadia branch (and first LA location; the other is in Glendale) draws consistent lines for its xiao long bao. 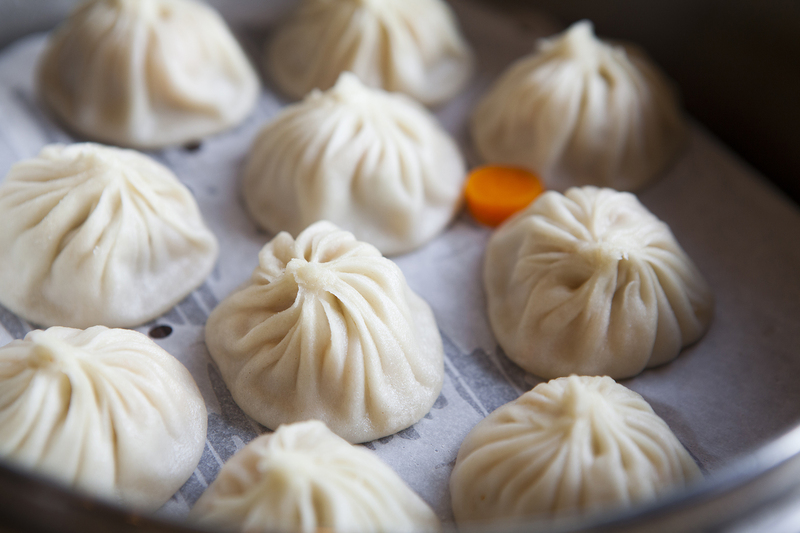 Each soup dumpling is meticulously made; the elastic skin is paper thin but resilient enough to hold a small pocket of soup plus minced pork and crab and soak up its flavors. Be sure to order the sautéed string beans with garlic as well. 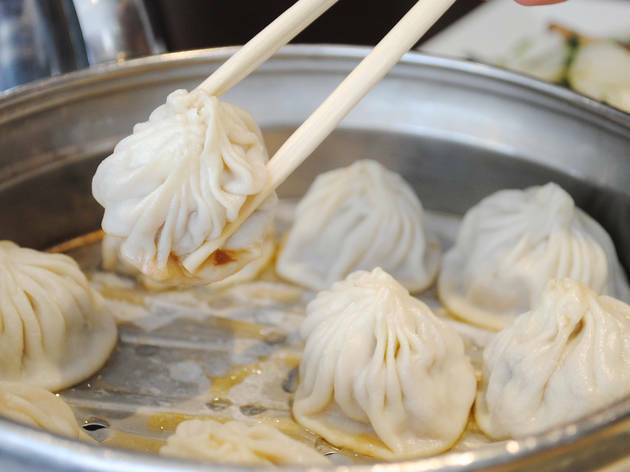 A food crawl of the San Gabriel Valley wouldn’t be complete without a trip to one of the region’s finest dim sum restaurants. 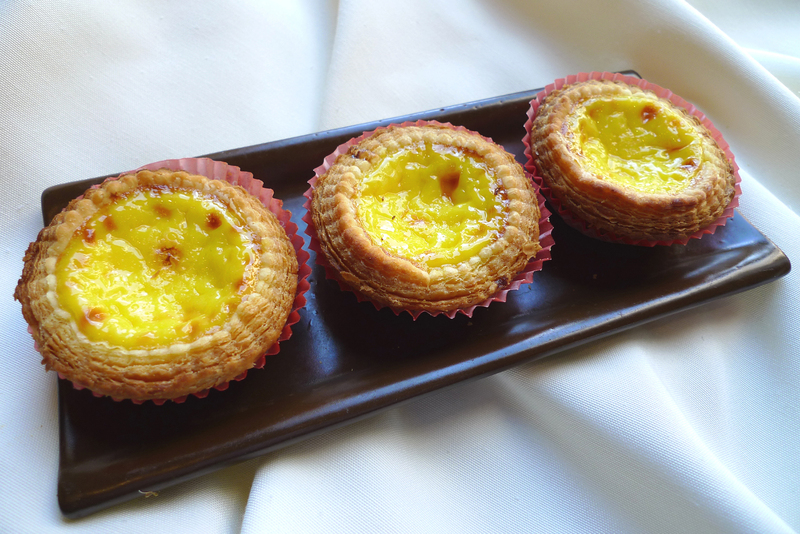 Lunasia has the entire package: a beautiful dining room and yum cha selections that really give you the bang for your buck. The portions here are titanic. Each individual crystal shrimp dumplings is packed in with multiple prawns, while the egg tarts comes piping hot in oversized portions. 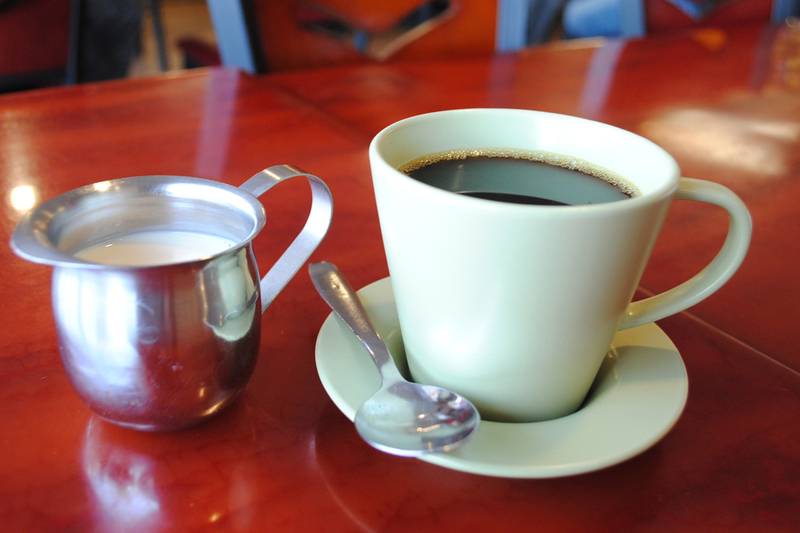 Stop by this eatery in Monrovia for a uniquely Taiwanese-style breakfast. 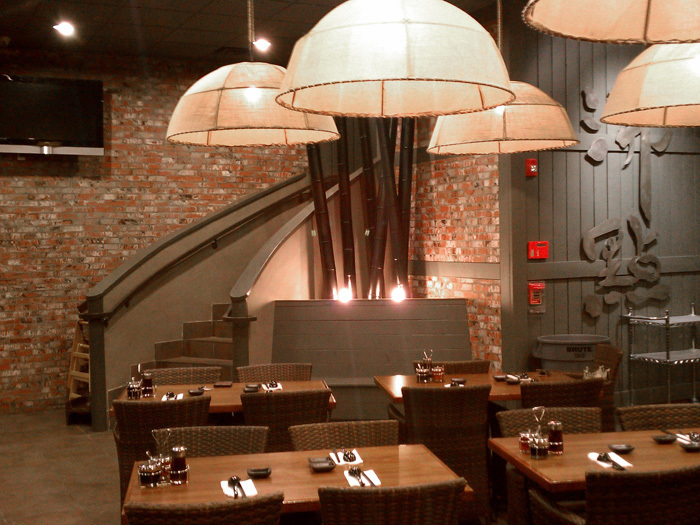 Owner Jason Ting has taken the family business and modernized it for the mainstream. 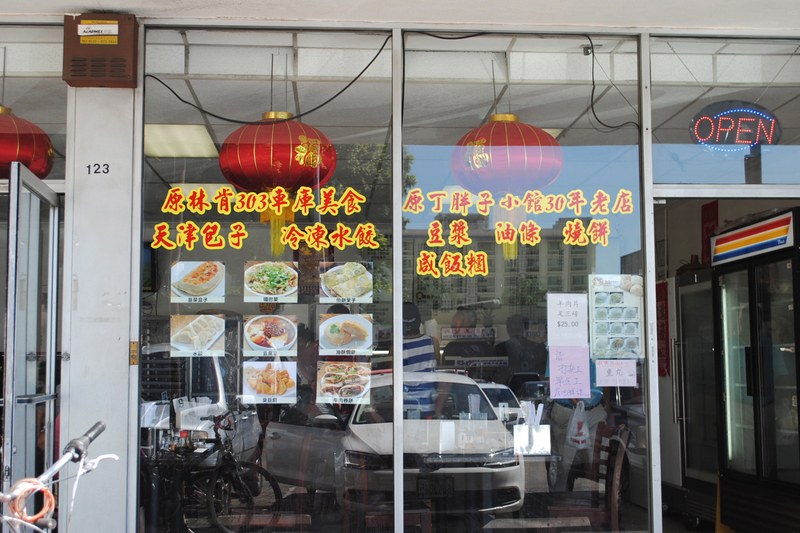 What that means: great service, an impeccably clean storefront and authentic Taiwanese breakfast foods. 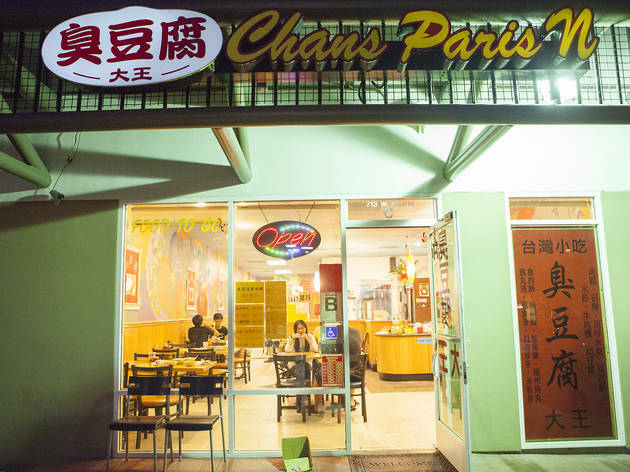 Their menu has a smattering array of doughy selections like youtiao (Chinese doughnut), pork buns and a crispy green onion pancake topped with an egg. The picture menus at Yi-Mei expedite the ordering process for confused first-timers, and they’ve put in a place a nifty combo system where you can get an item of your choice plus a tall glass of freshly brewed soy milk for only $4.50. Take a culinary bite of the Northeastern corridor of China at this Tianjin-style breakfast eatery. There's your standard Chinese fare like youtiao (Chinese doughnuts), buns and soymilk, but there are a couple of standouts such as a uniquely Tianjinese dish, gabacai, with mung bean flakes soaked in a thick gravy of chili oil, light soy sauce, fermented milk, sesame sauce and parsley, and fried dough with brown sugar. Forget cronuts—the flakiness plus sweetness of the deep-fried dessert rivals the doughnut of the moment. Sure, the shapeless mound of crispy fried dough—topped with a thin layer of brown sugar—may not be much to look at, but let your taste buds make the final verdict. 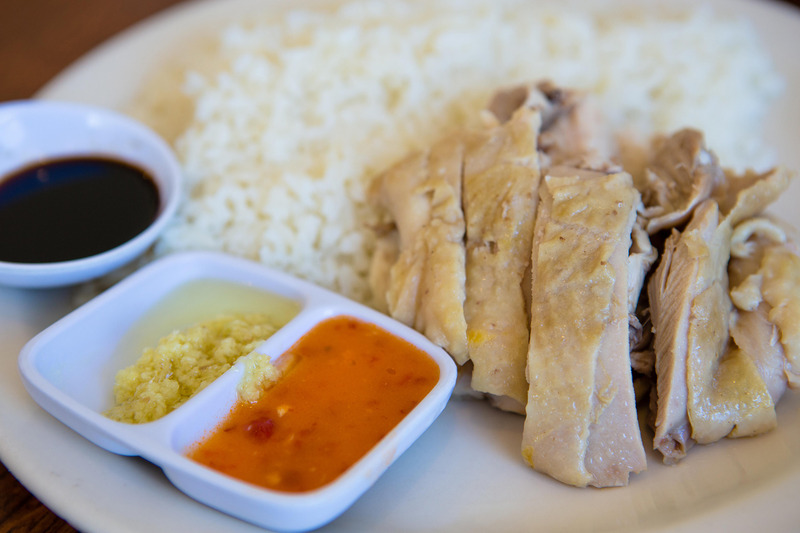 There are only a couple of tables at Savoy but if you've managed to squeeze in, order the Hainan chicken rice. Though their other dishes—we like the baked seafood casserole—are just as tasty, the warm chicken plate is what you’re there for. 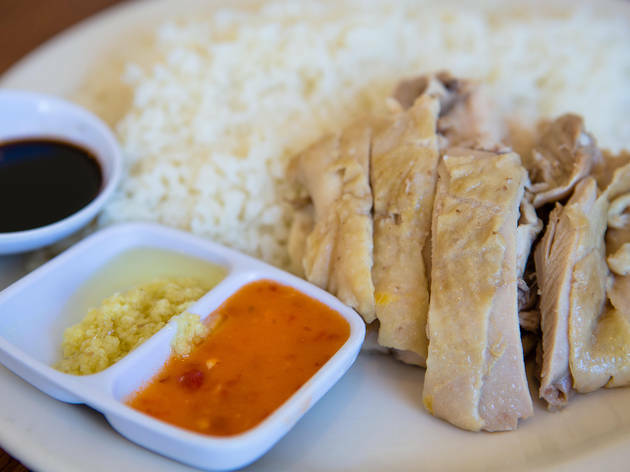 It’s an all-white-meat poached poultry platter served with three dipping sauces (ginger-scallion, garlic-chili and dark soy) over a large serving of oily rice. Add an extra two dollars for dark meat. 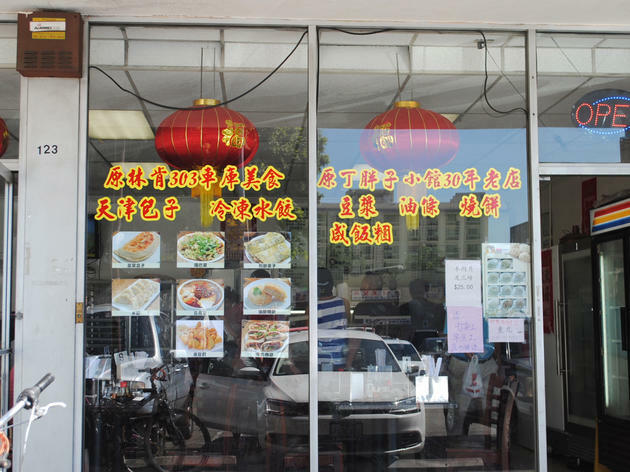 The Chinese translation of this SGV restaurant is yuanwei dian, meaning "authentic diner." 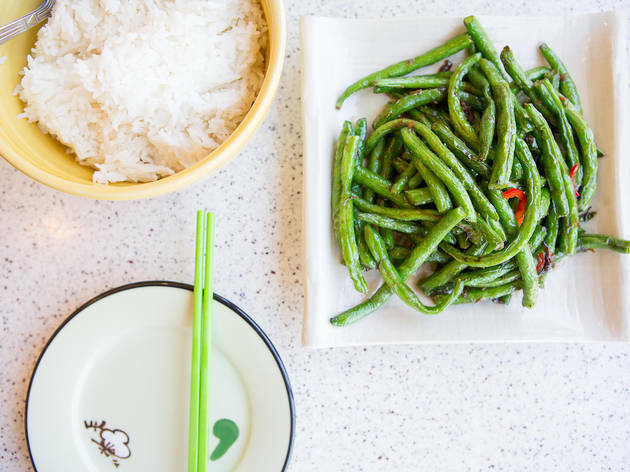 And the name is spot-on: The menu selections at this no-frills Cantonese eatery are truly reminiscent of the morning fare in Hong Kong. 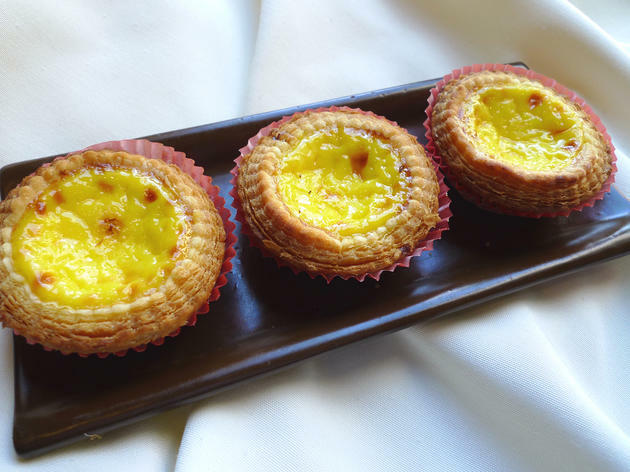 Be prepared to wait in line for star dishes such as the congee—try the chicken and abalone variety—and the baked pineapple buns that are stuffed with a dollop of butter. 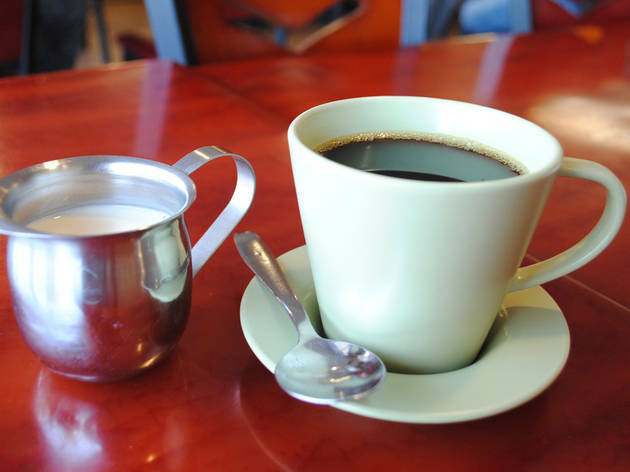 Add in a HK-style coffee, sweetened with condensed milk and complimentary with a combo order, for good measure. Tucked in a plaza of dumpling restaurants, Hui Tou Xiang distinguishes itself as a worthwhile competitor with their hui tou potstickers. Oblong shaped, pan-fried on all sides and meticulously fried to a juicy crisp, the stuffed-dough variety is a house signature. An order is packed with eight pot stickers—a perfect deal for lunch hour. They also have a stamp card: Buy five orders and get one free. 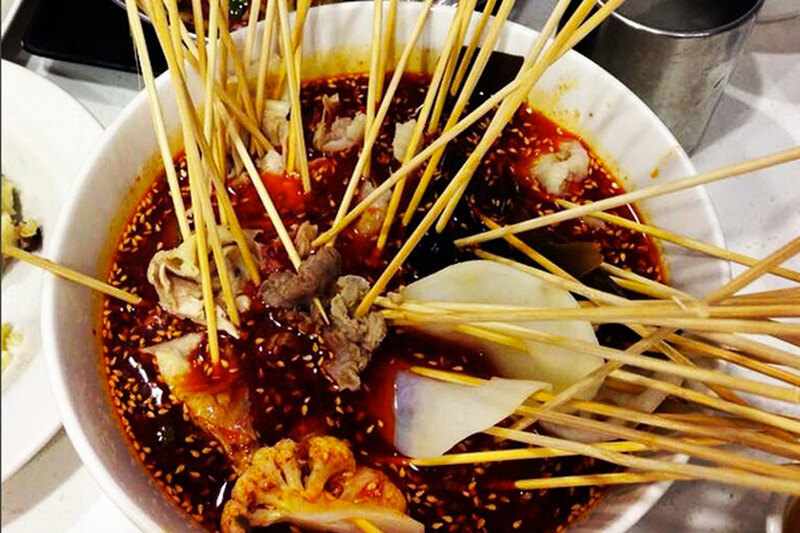 The top-seller dish at this Shanghainese establishment? 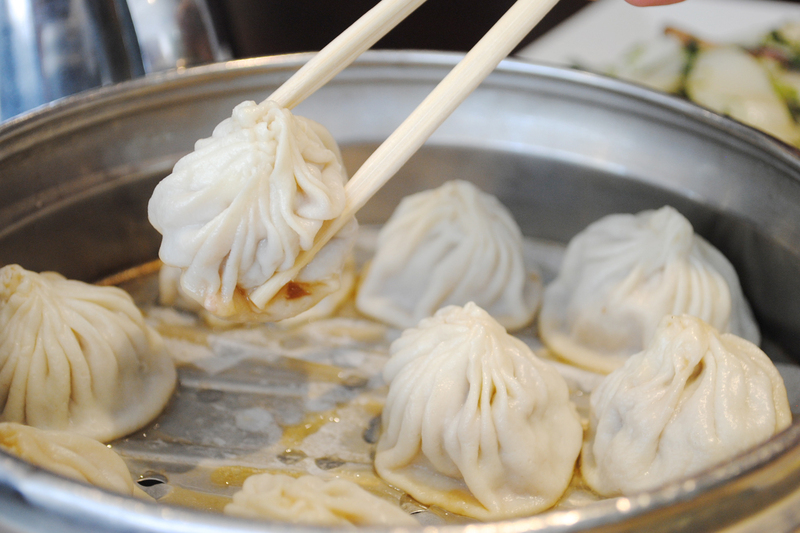 Xiao long baos, or soup dumplings, stuffed with crab or pork-stuffed. 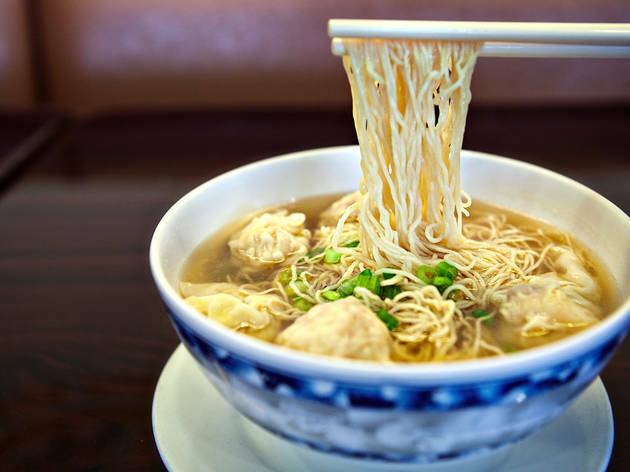 The skill of the kitchen is showcased in the dumpling wrapper that's nicely supple but tough enough to hold the ball of meat and surrounding soup without tearing. Don't miss the "seaweed fish"—think: fish and chips that's flakier, with more fish and served with a fresh slice of lemon on top. 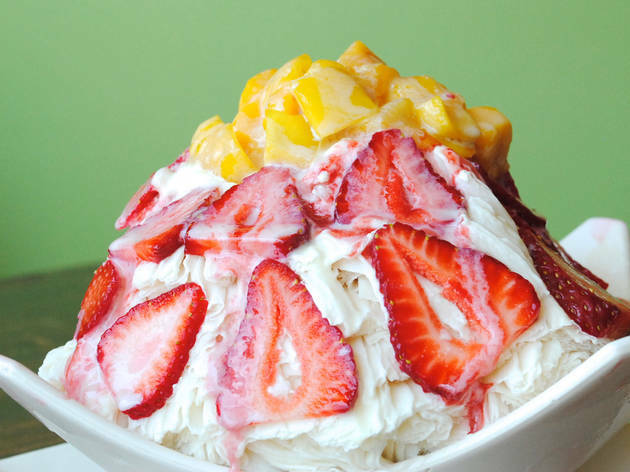 Sure, they’re known for their cult-favorite shaved ice—a block of snow shaved into fine crystals and drenched with sweet toppings such as red bean or condensed milk—but the savory selections of Taiwanese influence are fantastic as well. We’re huge fans the bento boxes: Take-out meals are portioned and packed inside metal tins, paying homage to the railroad lunch boxes passed out in Taiwan. Try the fatty braised pork over rice, served with a dollop of preserved tangy mustard greens. Tofu King takes the crown for ones of the best stinky tofu dishes in Los Angeles. 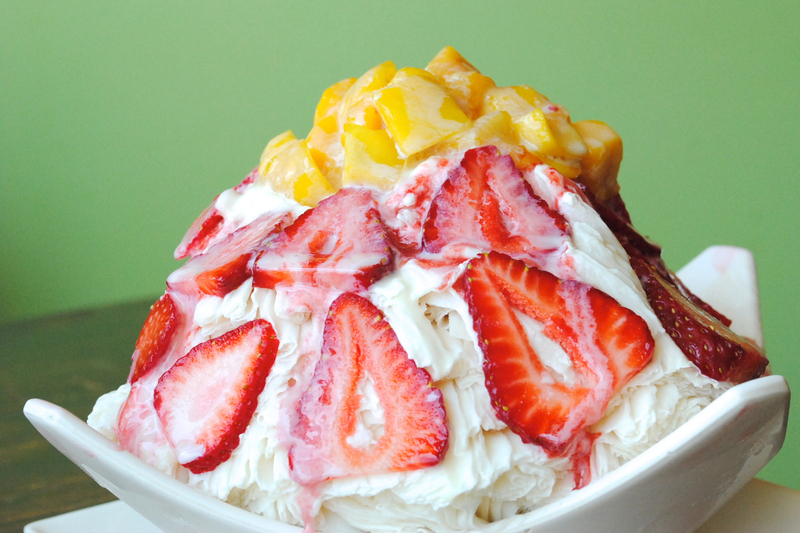 It’s a cash-only, small Taiwanese joint in Arcadia. True to its name, the main attraction is the tofu— fried, putrid from the fermentation process and served with paocai (a sweet and sour pickled cabbage) on the side. The best part of this eatery? Every single menu item is under $6. Feast like a king here for cheap. This SGV eatery has a fantastic lunch deal for Taiwanese-style shabu shabu—you won't find a better lunch steal anywhere else. 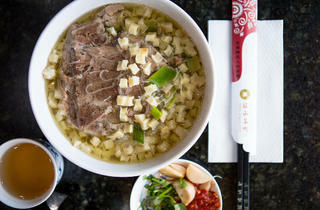 For ten bucks, you'll get an individual hot pot plus a free sweet black or green tea drink. We go for the house special: a beautiful assortment of pig’s blood, fish cake, intestine and stinky tofu. If offal isn’t your thing, the curry fishball is a great gateway option. 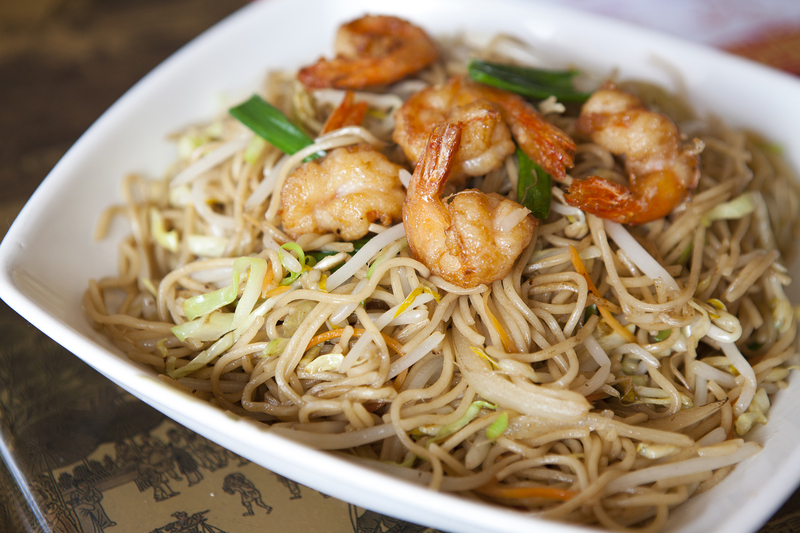 Shaanxi Gourmet is a tasty window to the cuisine of Xi’an. The storefront is lined with terracotta soldiers, while the chef and kitchen supplies hail directly from this Northwestern Chinese metropolis. 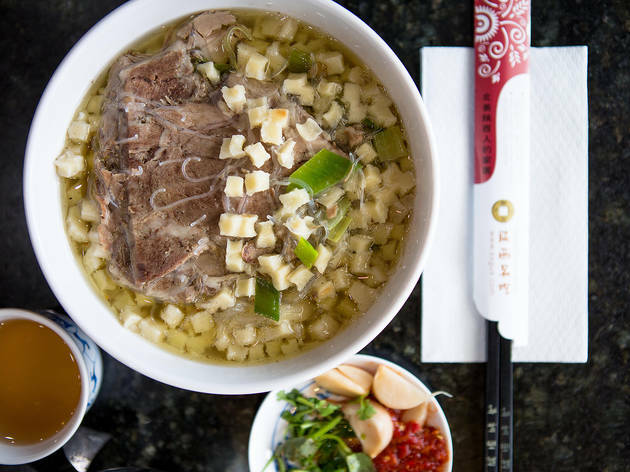 We’re huge fans of the yangrou paomo, an unleavened bread dish soaked in lamb soup, and all of the noodles that are hand-pulled and made in-house. 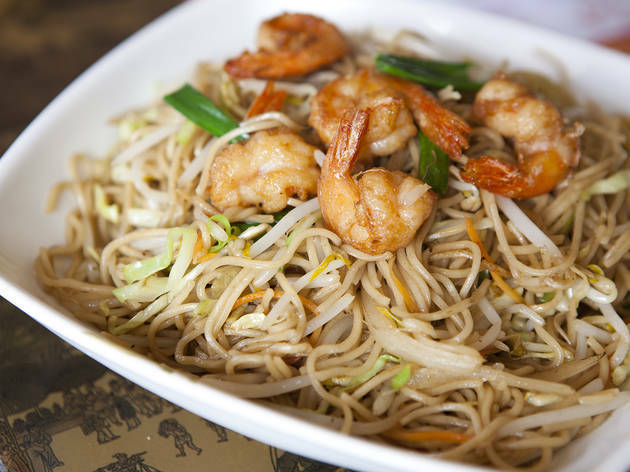 Sure, the staff may not speak much English, but all of the star dishes depict photographs for easy ordering, so just point and order—no dish disappoints. 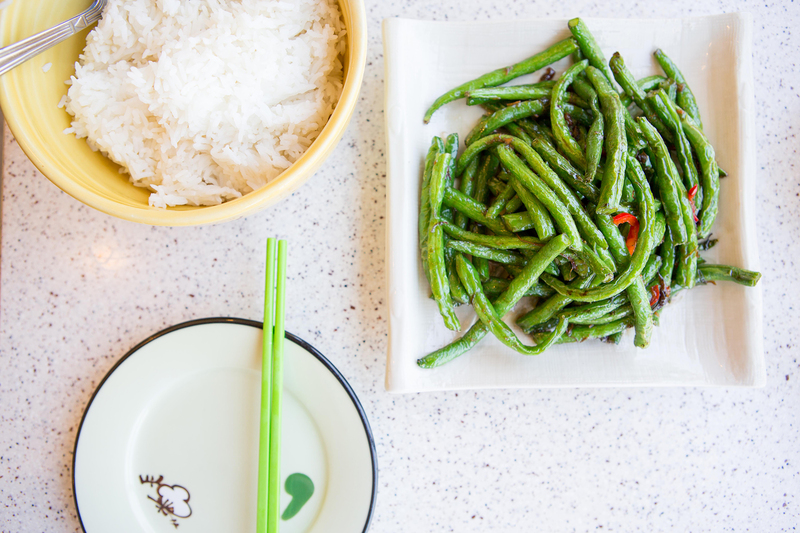 Tasty Garden is the quintessential Hong Kong diner: It’s opened late and there’s quite a bit of East-meets-West selections. With such an extensive menu, it’s difficult to pinpoint what exactly to order. So, here’s a cheat sheet: Share family-style orders of filet mignon cubes, honey walnut shrimp, green beans and a Hong Kong waffle. Spicy City is a Yunnan-inspired restaurant, but be warned: Come only if you can take the heat. The sheer number of chilies on some of the dishes here are mind-blowing. 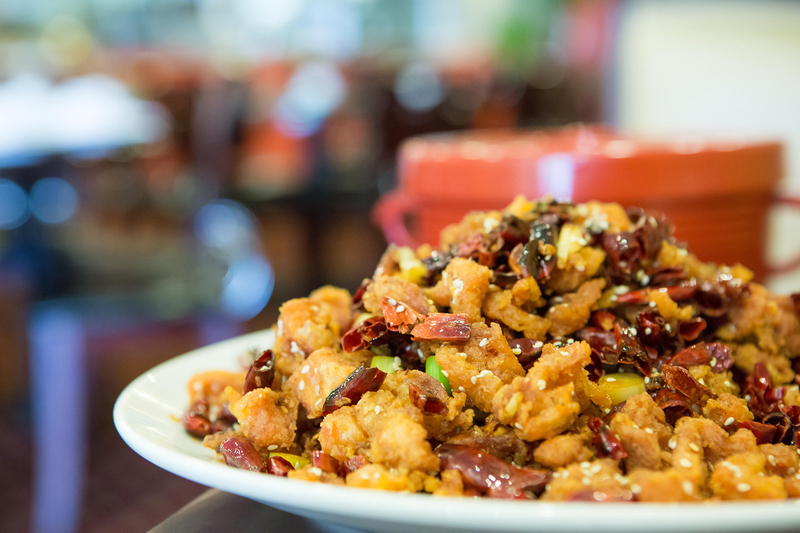 Take the hot pepper chicken, for example: It’s a huge platter of fried chicken cubes buried in a helping of fresh chili peppers and tongue-number Sichuan peppercorns. Bring your friends and add an order of rice for the table. This nearly three decades-old SGV establishment is the place to get your daily fix of Guangdong-style roasted meats. The duck is marinated in savory juices, glazed with a thin layer of sweet maltose and served with a sweet plum sauce. 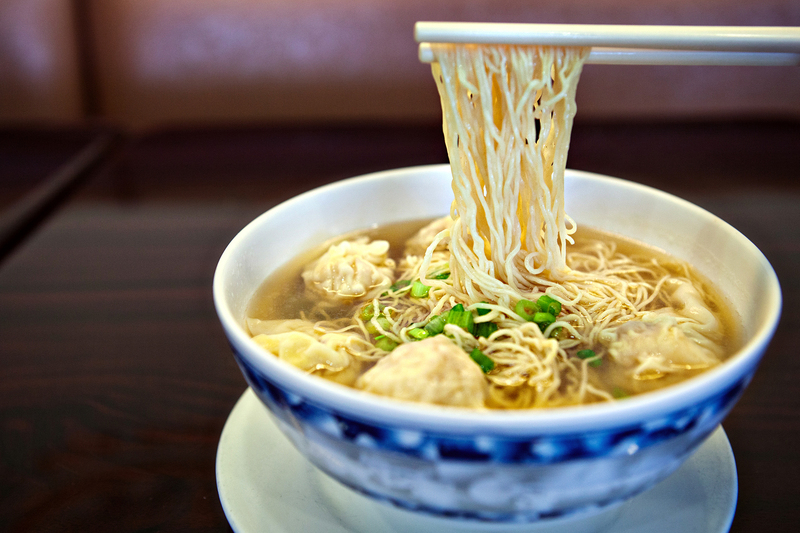 Pair with a bowl of wonton soup with noodles imported straight from Hong Kong for an authentic dining experience.